Amateur radio is all about community. Icom knows that ham clubs play a big role in bringing hams together to network and learn from one another on an ongoing basis. As a way of giving back, Icom has launched a promotion exclusively for ham clubs! By registering, your ham club could win Icom swag, a Skype presentation, an in-person presentation or an Icom radio! Register today for your chance to win! 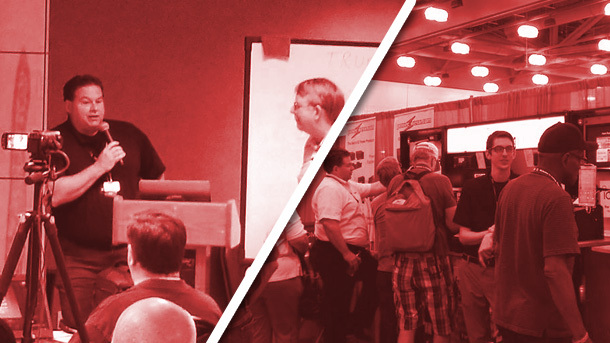 Icom knows that hamfests play a big role in bringing hams together to learn from their peers and industry leaders. As a way to help you on this mission, Icom has launched a promotion exclusively for hamfests! By registering, your hamfest could win Icom swag, a forum presentation or an Icom booth setup at your hamfest! Register* today for your chance to win! *Hamfest Net registration is open to U.S. hamfests only.